What are safety leaders thinking about right now? And what’s keeping safety directors up at night? Safety is not, and should not be, a standalone strategy within any organization. In other words, strategy around safety shouldn’t be treated separately from the business strategy…a concept that safety leaders know all too well. The point is this: If you treat safety as its own silo, you can isolate it from where it needs to have influence and where it really needs to be in the business! One of the things that is an increasing problem is a “one size fits all” mentality that’s used across job sites and across different teams. That’s an approach that can have some major gaps and safety hazards; more and more, I’m trying to show and persuade others on just how much a customized approach needs to be taken with each and every project. I’m an advocate for people and people’s safety, so that’s where I really want to be spending my time. If I had it my way, I’d be spending more time focused on people, rather than focused on the paperwork. Those of us who care about building employee engagement and those of us who want to work alongside employees don’t want to spend all our time in spreadsheets or with compliance. Sometimes it can be difficult to get top execs to understand and see how much safety has changed in the last 10 years, and even the last two years! Many approaches we used from a decade ago, or even more recent than that, just aren’t going to cut it anymore. We have a lot on our plate, and every near-miss or incident can be devastating to us, and the companies we work for. If we had more time in our day, we’d love to spend more time on mentoring and coaching people. Sometimes that has to fall to the bottom of the list, and often doesn’t get the time it deserves. Safety can’t just be seen as a cost to the company…and neither can employees. Safety is so much more than that, and it’s hard to change the mindset of leaders who don’t see it that way. It’s not always about adding more and more to the safety program. Sometimes it’s about optimizing or improving upon what you’re already doing. When CEOs personally care and lead safety, you can see the difference in the organization. The opposite is true, too! If we, as safety leaders, had the tools to spend less time with compliance, we’d love to spend more time with our people, on-site, and seeing what’s happening with our very own eyes. That time spent in the field is invaluable! It’s difficult to know how to change the mindset that safety slows productivity or that it’s a nuisance. Similar to this is the idea that we always just have to hit this quarter’s targets or numbers. That stigma, and that kind of short-term mindset, is horrible, and can really spread in an organization. Safety requires action….and it requires more than just saying how we will act. If we don’t behave the right way, and model the right behavior that we’re talking about, we’ve totally missed the essence of safety leadership. By-the-book safety leaders can give other safety leaders a bad rap. They can also be the kind of safety leaders solely focused on policies and procedures, and they are the ones that are seen as “police” in the workforce. 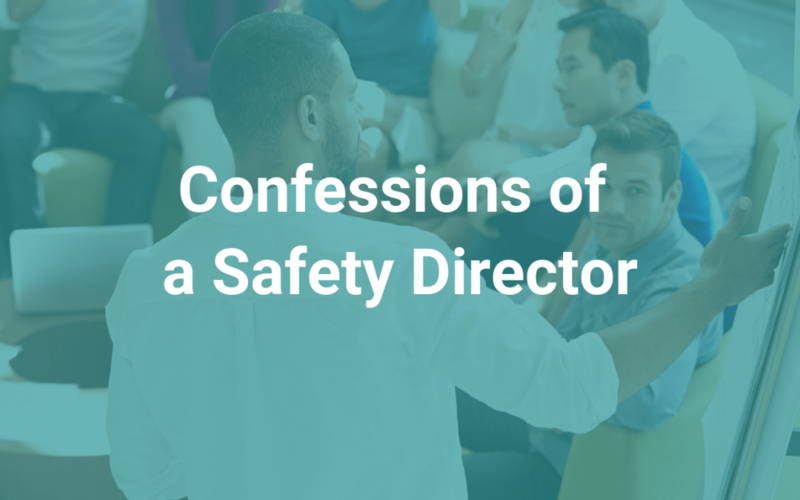 These are safety managers who seem to look for opportunities to write up people…But most of are simply not like that; rather, we are incredibly caring and we’re truly concerned about preventing accidents and injuries. I wish more people knew just how much we’re advocates of safety. Record, report and minimize safety incidents in the field and in the office using iReport. Understand your existing safety culture and reinforce the positive aspects, bit by bit, so you can improve the employee experience. Get in touch to learn more about how you can own your safety culture and prevent injuries before they happen with iReport.